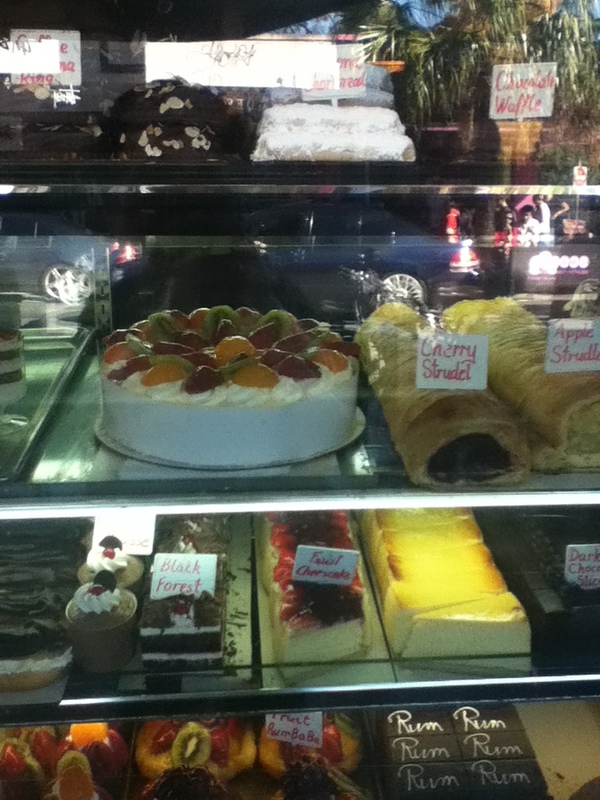 If you’re ever in Melbourne, visit Acland Street. It’s been famous for its cake shops for the past four decades at least. You can buy a chocolate Kuglehoff from Monarch Cakes, or visit Europa for Hazelnut cake. The biscuits and cakes are little works of art and rich. I’m not sure I could manage them these days although I loved them in my youth. My favourites these days are the creamy vanilla slices. And poppy seed rolls. I have a recipe. Not theirs, but nevertheless, quite nice. Someone shared it with me, I’m going to share it with you. ½ lib (250g) ground poppy seeds. Cook for approximately 20 minutes in a cup of milk and 3-4 tablespoons of honey mixing constantly on small flame. Let it cool. Mix sugar and butter, add eggs, mix thoroughly. Add 3-4 tablespoons cream, add flour, if texture doesn’t seem quite right add a bit more until it feels right. Don’t overdo it. Add grated rind of lemon. Mix with wooden spoon then knead by hand. Cut dough into three sections, to make 3 rolls. Roll out a section at a time. Spread poppy seeds and sultanas on flattened dough, leaving sides free. Gently roll the dough up and squeeze both ends of the roll down.